It seems this year has a special ring to it as 3 of the 5 major soccer leagues in Europe celebrate a particular anniversary in 2013. This is certainly the biggest date this year for football historians and fans alike. A century and a half a group of enthusiasts codified the rules of ‘the kicking game’ in the Freemason’s Tavern in London and made history. The game of football has seen wars and revolutions and remained the same throughout. Some minor rule changes added here and there but ever since it is the same rule: 2 goals, 2 teams of 11 players and 1 ball. For the 90th birthday of the Football Association (FA) in 1953 England played a FIFA team in October and were lucky as Alf Ramsey scored a late penalty to draw the game. A month later the time had finally come and England were beaten by continental opposition for the first time at Wembley when Hungary took England apart and beat them 6:3. It shook England’s self-belief but served as a wake up call for those involved in English football and the football interested public. 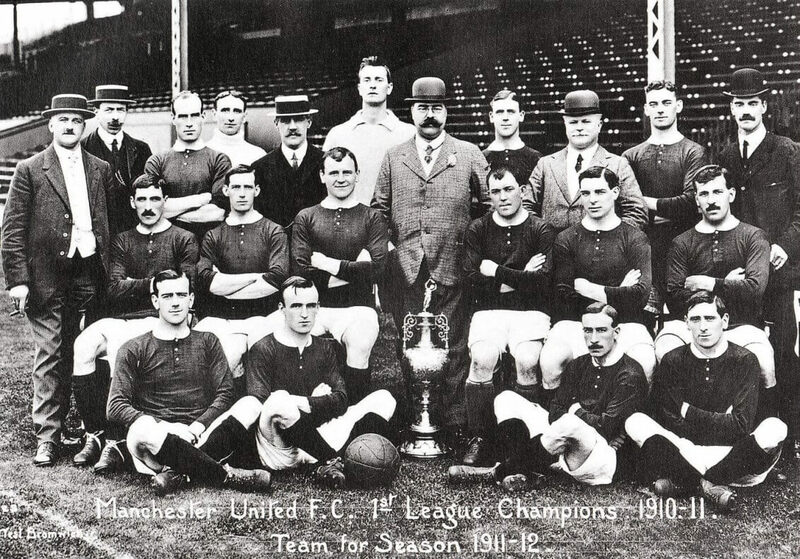 However, this year marks the 150 anniversary of the modern game of football and rightfully, the National Football Museum in Manchester celebrates with a lecture series titled Football 150 throughout the year. It began in January with a lecture by Tony Collins from the International Centre for Sport History and Culture at De Montfort University, Leicester and covers the last 150 years from various angles. The full list of lectures can be found here. It does seem somewhat surprising but France have a professional league since 1933 and yet football, or le foot, is not the most popular sport in France. This accolade goes undoubtedly to cycling. Therefore, there won’t be any celebrations this year in France. While Germany and England celebrate accordingly French football undergoes a radical change. The game has been altered with the arrival of Qatar who bought Paris St. Germain almost 2 years ago, putting the small capital club on the European map. Since its inception in 1970, Paris St. Germain have only the league on 3 occasions but somehow have managed a European success in 1996, winning the Cup Winners’ Cup. Football in Paris, especially since the arrival of QSI and the signing of David Beckham has experienced a surge in popularity off the field. Yet the performances of the squad differ tremendously. While the English established the world game in a pub, the Germans called a conference to decide that a unified league would be best for German football as results in international competition stagnated. It hasn’t taken long for the Germans to catch up with the other European top leagues; their first title in Europe for a club side came as early as 1966 when Borussia Dortmund surprisingly beat Liverpool in the Cup Winner’s Cup Final in Glasgow. The year before saw West Ham beat TSV 1860 Munich at Wembley in the same competition’s final.